The 22 players have been hard at training hoping to get a spot to the Sydney 7s. Some players in camp include Waisea Nacuqu, Jerry Tuwai, Jasa Veremalua, Kalione Nasoko, Amenoni Nasilasila, Apisai Domolailai, Eroni Sau, Uluiyata Batinisavu, Josua Vakurinabili and Mesulame Kunavula. The players will resume camp on the 2nd of next month. 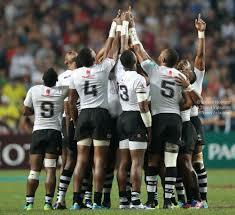 After the first two tournaments, Fiji is third with 28 points, New Zealand is first with 41 points and South Africa is second with 39 points. Fiji is pooled with New Zealand, Samoa and Russia in the Sydney 7s.